yum yum okay | Finding delight. Tons of butter, salt, and pepper. Grated cheese, sliced jalapeno peppers and a dollop of sour cream. 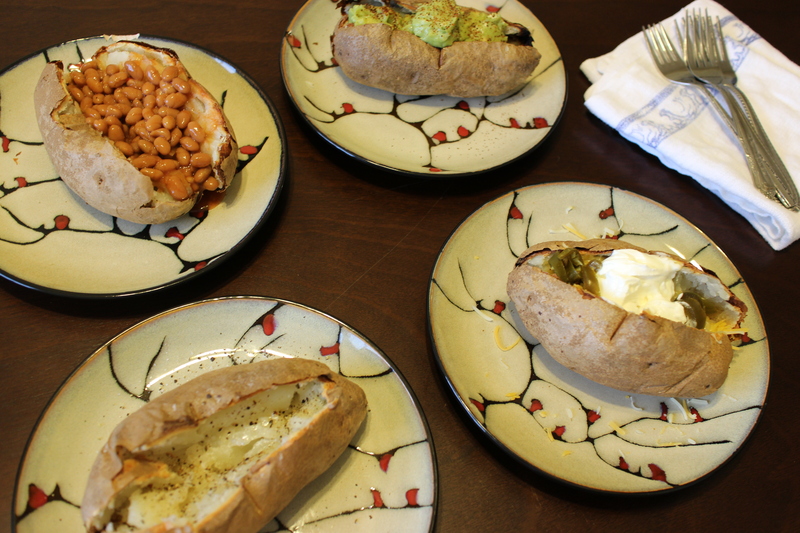 Baked beans, if you’re feeling extra British and want the TRUE jacket potatoes experience. If you’re serving several folks for dinner, whack a whole bunch in the oven and when it’s time to eat, set out options so everyone can top to taste. Super easy and goes well with other snacky foods like crudites and baguettes with jam. YUM!